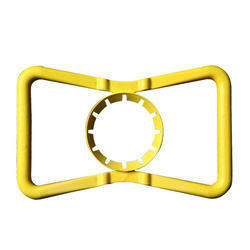 We are engaged in offering a wide range of Water Bottle Handle to the clients. These products are made by our experts ensuring that these conform to the set market standards. We are offering our customers a huge range of Plastic Bottle Handles (30 mm), which are available in various colour and specifications. Our range of Plastic Bottle Handle is widely appreciated by our clients which are situated all round the nation. 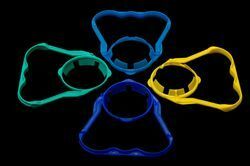 We offer our range of Plastic Bottle Handle at most reasonable prices. Plastic Handles for 2 Ltr. - Both-Hand Bottle Handle: . - Attaches to all Standard Neck bottles. We provide 46mm Butterfly Handle to clients at affordable market prices. It facilitates excellent grip and is durable as well. We are successfully meeting the varied needs of our patrons by offering a wide gamut of Plastic Bottle Handle as per their precise needs.